On Green Beach on W-Day, July 21, 1944, the 3d Battalion of the 21st Regiment, 3rd Marine Division encountered stiff resistance immediately. As the unit started to move up the valley, mortar shells caused numerous casualties. An enemy reinforced machine-gun platoon defending a defile along the river began to fire and stopped the advance. With naval gunfire neutralizing the mortar positions and 1/9 laying down a base of fire, Lieutenant Colonel Wendell H. Duplantis' 21st Marines launched a coordinated attack and overpowered the strong point. Approximately 14 machine guns, heavy and light, six mortars, considerable ammunition, and what is believed to be the first prisoners taken on Guam were seized during the action. But the enemy was not the only problem as the advance continued. Men began to run out of water, and many fell from exhaustion. The capture of the cliff at this point seemed "almost impossible," but through concerted efforts and the urging of officers and NCO's the men went forward. One officer, Captain Rodney L. Heinze, Company I commander, walked along the front lines of his company, lifted individual Marines who had fallen, and helped them forward. 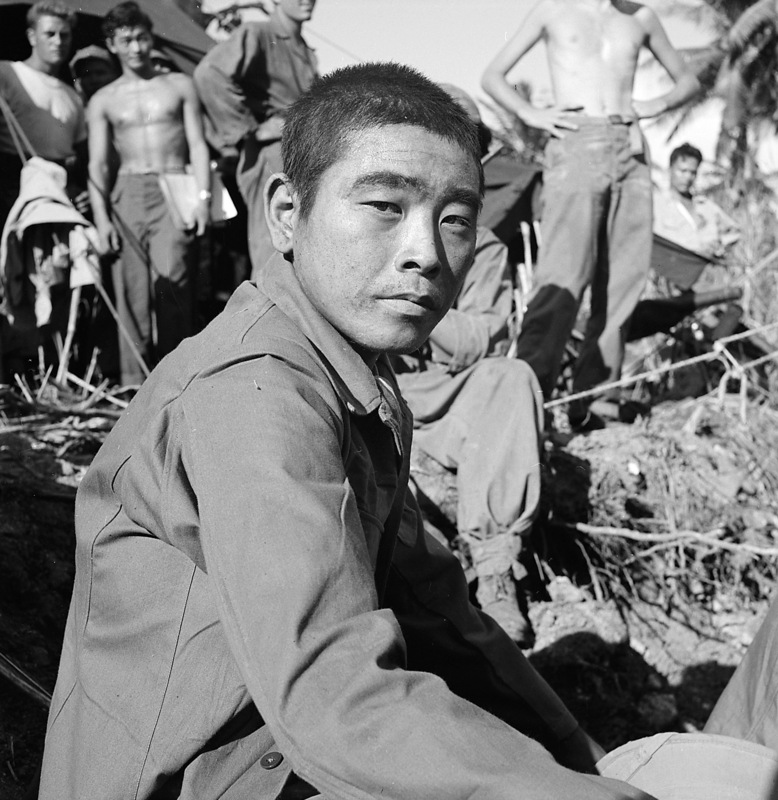 By August 1945, 1,250 Japanese were taken prisoner on Guam. Some 10,000 were still in the jungle after the island was declared secure in August 1944.